Just because Jerome Drayton was a marathon champion didn't mean he didn't have any complaints about marathons. 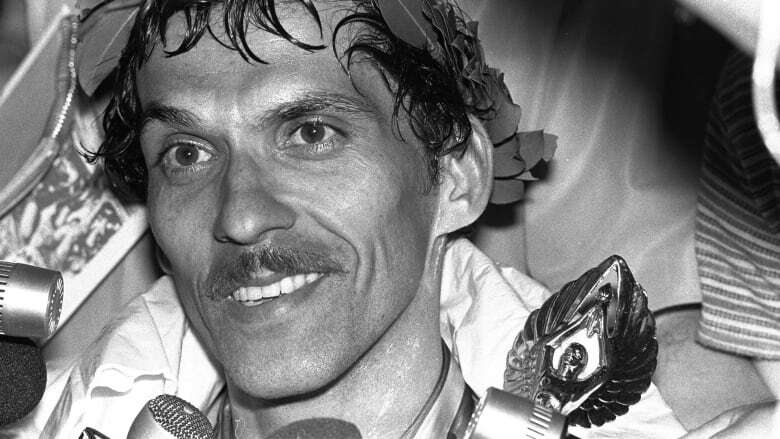 On April 18, 1977, the 32-year-old Canadian long-distance runner claimed victory at the Boston Marathon, with a time of 2 hours, 14 minutes and 46 seconds. A day later, the CBC's Peter Gzowski interviewed Drayton on CBC's 90 Minutes Live about his accomplishment. For one thing, he was sore — sore to the point that his leg had been cramping up when he tried to eat dinner after winning the marathon the day before. "It just seizes on me," Drayton said, after miming his expected need to jump out of his chair should another cramp occur. Drayton also seemed sore about some of the behaviour of his fellow runners. "The Boston Marathon is becoming pretty unwieldy now," Drayton said, before describing the pack mentality of some of the runners around him in the race. "Everybody dashes like crazy for the first 100 yards and if you're caught in a pack and you trip or anything, the game's over," he said. Also, Drayton said that before the race there was no advance warning of the starter's pistol being fired. When it went off, he had a problem. "Normally what they say is, you know, '30 seconds to go, 15 seconds to go' and then they shoot the gun off," Drayton explained. "Here, I was standing, you know, no warning at all, all of a sudden that gun goes and everybody just goes by me and somebody behind me grabbed my shirt and I got kicked and jostled and booted," Drayton continued. "So, by the time I got out of the pack I think every judo trick in the book was performed on me." When he crossed the finish line, he'd been led toward a crowd of waiting reporters. He wasn't happy with that either. "You just don't do that," Drayton told 90 Minutes Live. "Like, you know, I've just bashed myself for 26 miles, I would like to have two, three minutes to sit down and just, you know, relax a little." He added that "the worst thing you can do" to a marathoner like himself "is grab him and force him in a direction that he just doesn't want to go to." 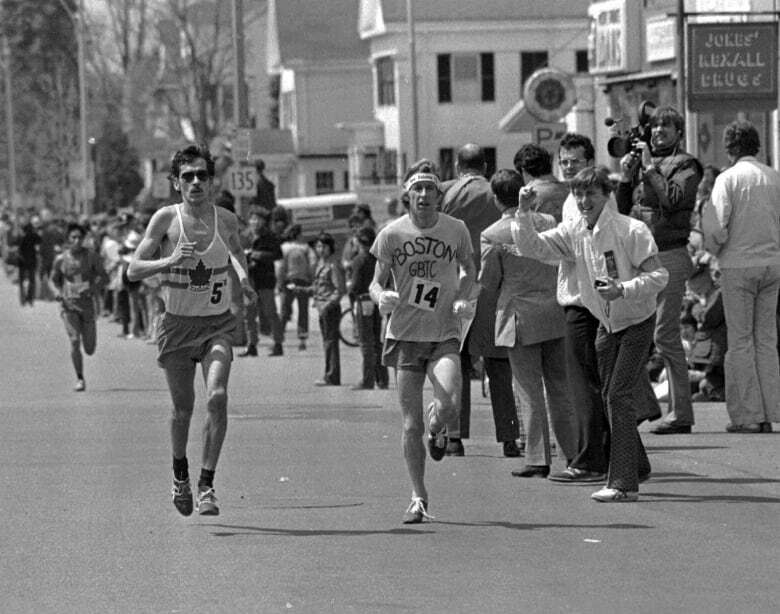 Drayton's victory had come after prior experience in Boston, which was referenced in the New York Times story covering the 1977 race. "It should have been one of his more satisfying hours, erasing the bitter memories of the fast starts and four frustrating failures in the past," the Times reported. But as the paper noted, Drayton "hardly cracked a smile" after winning the long-running competition. Interviewer Peter Gzowski wanted to know what Drayton was doing next. Another race, it turned out — a 10,000-metre one, less than one-quarter of the distance of a marathon. "Actually, I don't really like marathons. I only do 'em because it happens to be my best event," said Drayton. " But I prefer track." That prompted a deadpan response from Gzowski. "I thought any rational person would love to run 26 miles," the host said, referencing the roughly 42-kilometre distance of a marathon.